Imaginario Inverso (Reverse Imaginary) (2015/2017) is part of Astrovandalistas’s ongoing investigation into the industrialization of our social imaginary through the commercialization of scientific knowledge. Through a series of workshops, talks, and exhibitions using conceptual prototyping, futurecasting, reappropriations, and micronarratives, Imaginario Inverso proposes different frameworks for reflecting on the geopolitics of technology development and the reinterpretation of technologies for more personal uses. In 2014 and 2015, Astrovandalistas worked in the El Paso–Juárez border region building alternative communication networks. The first prototype was a reinterpretation of NASA’s laser communication technology (LLCD, LCRD, OPALS) that used a laser modem to open a high-powered long-distance channel across the sociopolitical distance marked by the border. 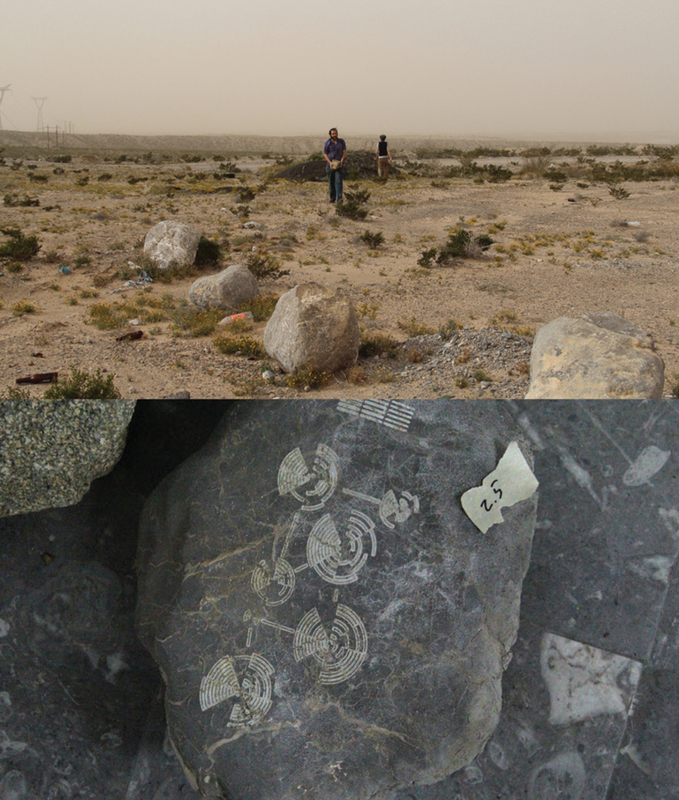 While working on the laser modem, Astrovandalistas started to explore the possibility of using lasers to create other kinds of local networks and began to engrave rocks using a glyphic alphabet of their own design. During a series of public workshops, they invited people from El Paso and Ciudad Juárez to use their laser to carve their own future predictions for the region into rocks and later redistributed the engravings on both sides of the border. During SIGGRAPH 2017, Astrovandalistas will open an office in the Art Gallery where they will engrave predictions about the future onto rock and city debris collected from the greater Los Angeles area. Part site-specific minimalist installation, part laboratory and workshop, the work is an open platform that invites direct participation and creates an opportunity for manifesting anxieties about the future.